Even though temperatures across the globe might be rising, you are going to need to keep your house warm this winter. Getting your home ready for winter can do more than just help keep you and your family comfortable. By doing some basic fall maintenance and winterization, you can save money on energy costs, prevent potential winter damage and even help ensure the safety of your loved ones. 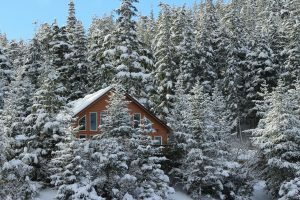 Here are some suggestions for making sure your home is ready to handle whatever elements winter sends your way. An audit will help you prioritize your winterization tasks. A professional technician (certified by the Building Performance Institute) will come to your home and help determine where your house is losing energy and what needs to be done to make the home more energy-efficient. In most cases, the inspector will do a blower-door test and use infrared cameras to identify energy leaks in your home. The audit will verify problems and the auditor will provide a full report of any deficiencies and an explanation of the most cost-effective solutions for lowering your utility costs. While furnaces and space heaters help people stay warm, they also increase the risks of fire or of carbon monoxide poisoning. Before winter hits, be smart and check carbon monoxide detectors and smoke detectors and replace old batteries. WebMD suggests getting an annual furnace inspection to ensure the safety and efficiency of your home heating system. Although it won’t help you stay warmer, one of the most important winterization tasks for your home is to clean the rain gutters. You have to wait until the leaves are off the trees around your house, otherwise, the gutters will just get clogged again. Gutters blocked by leaves and debris can fill with water and freeze solid, causing ice dams that can cause extensive water damage inside your house. Changing the filters in your furnace and central air system every three months can significantly improve its efficiency and longevity. It’s an easy and inexpensive way to help the system work better. As a bonus, it also improves the quality of the air you breathe inside your home. If you have an HVAC professional inspect your furnace each fall and your air conditioner in the spring, they usually replace the filters as part of that service. Installing insulating film on the insides of your windows can reduce window heat loss by as much as 70 percent, reports bobvila.com. Many films will also block sunlight so your home will also stay cooler during summer. You can also block heat loss in winter and heat gain in summer with energy-efficient curtains, blinds or shades, notes the U.S. Department of Energy. Every exterior door should have seals on all four sides to prevent cold outside air from entering your home. Over time, the seals tend to turn brittle and crack. If a visual inspection reveals your door seals are dried and cracking, replace them. If any door is missing seals or you can’t find the proper replacement, most home improvement stores have adhesive foam weather stripping that allows you to simply peel off the backing and apply it along the inside of the door frame. Distribution losses (warm air that escapes while being transported from your furnace through ductwork to the vents) often amounts to 30 percent of the total, according to the Environmental Protection Agency. Sealing ductwork connections could increase your furnace efficiency and provide better air flow to keep you warm at a lower cost. If you are uncomfortable trying to seal the ducts yourself, call in an expert to help you make certain it is done properly. A little bit of preparation and prevention now can help make certain your home is warm and comfortable before cold, harsh winter weather arrives.